On Sunday, April 14th, 2019, the final season of Game of Thrones is scheduled to air on HBO. Many people are excited for the 8th season of Game of Thrones because they have waited for an entire year for it to air. The new trailer came out last week and many fans are excited and can’t wait for April to come so they can watch the first episode of the new season. 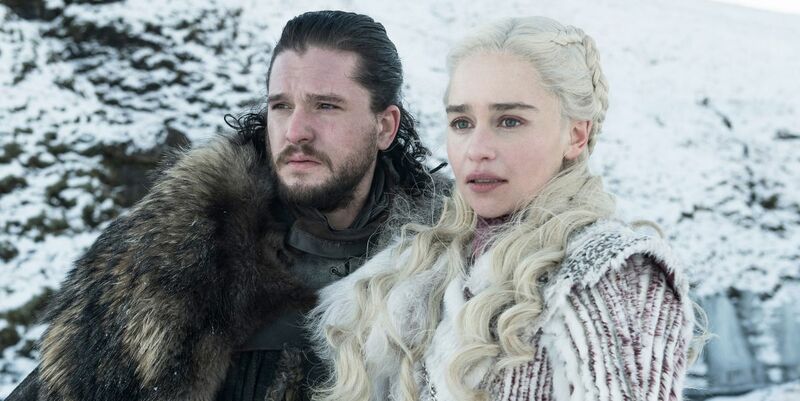 With the trailer out many fans are really excited and ready for the new season, but they are also sad due to the fact that this is the final season of Game of Thrones. The trailer has evoked a variety of emotions from students. “This is one of my favorite shows I have watched and re-watched it so many times to even count. I am super excited for the new season because I have waited a year for it, but I am also really sad because it’s ending.” Freshman Melanie Rodriguez stated. Fans have conflicted feelings for the new season they are really excited about it, but they are also pretty sad that it is ending. “Each season has brought something new to the show and it just keeps me waiting for more new ones because how good this show is it’s just amazing, I am really sad that this is the last season, but I can’t wait for what this season is going to give.” Sophomore Sabrina Alvarez said. While so many fans are excited about the new season, there are a couple of people that are not that interested in the show. “I was never too interested in Game of Thrones due to it just seeming like a drama show but with swords and kings in it, the trailer just wasn’t very appealing” stated sophomore Lucas Garcia. Game of Thrones has been a show that many people seem to enjoy. The fantasy aspect of the series coupled with the consistent action seems to pull people in. This final season is sure to bring the fan-favorite drama to an unforgettable close.